I use this as a guide when assessing my preschooler. 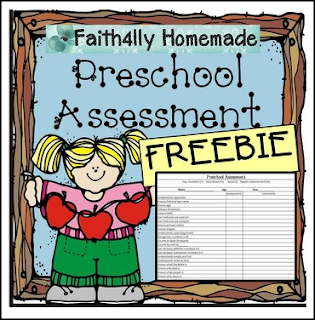 I'm a homeschool mom, but this would also be helpful for any preschool teacher. I use this as a "check off list" to assess what I want my preschooler to know by the end of the year. It is a great way for me to assess what still needs to be taught/practiced. This download will come in a .zip file. It will contain an excel spreadsheet that is completely editable so you can customize it to fit your needs. I hope you find it useful! >> You might like my Ultimate Preschool GROWING Activity Bundle HERE! You will get ALL my preschool resources in one place, PLUS any future resources for FREE!